Carotenoids belong to a wide class of natural dyes that cause a yellow to reddish color. These are often used as a feed additive, for example, to influence the color of the meat of farmed salmon, which would turn gray without addition. Flamingos in the zoo are also fed with carotenoids, as they do not get carotene-containing crabs and algae which makes them lose their plumage coloration. Similarly, the color of egg yolk of chicken is affected by feed additives, because the animals eat barely grass or maize, containing natural carotenoids. The aim of the project is the production of commercially important carotenoids: Antioxidative astaxanthin and beta-carotenoids for general use and for use in fish farming, as well as a component of chicken feed. 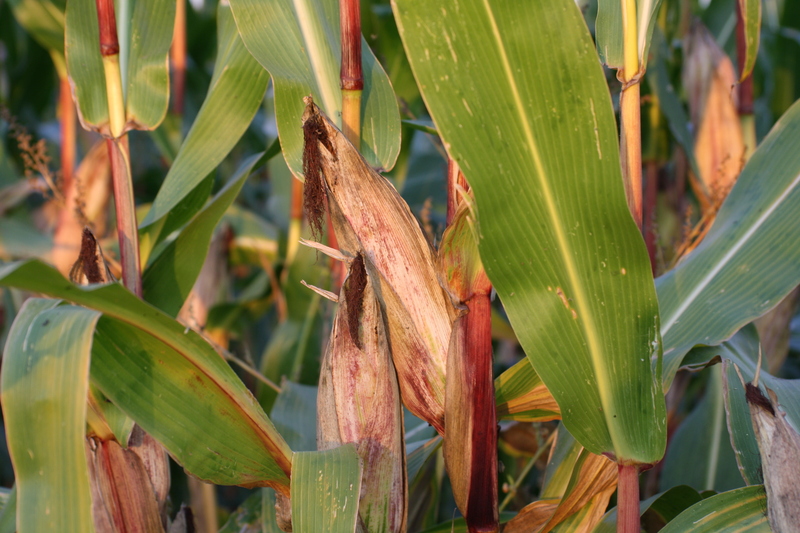 By biosynthesis carotenoids are implemented in corn. The corn products will be used for use in animal feed and other resources. The project includes the metabolic-construction in corn lines, analysis using modern omics technologies and the application in feeding trials with ß-carotene maize in chickens as well as the extraction of astaxanthin-rich oil for salmon. A representation of the conventional corn oil extraction process will be worked out. This should then be optimized for modified corn seeds in terms of obtaining an astaxanthin-containing oil. Furthermore, the refining of astaxanthin-rich corn oil needs to be optimized and this extraction process will be tested in pilot scale. Following, oil samples will be provided for feeding trials with fish. To develop a method for recovering oil from a new breeding of astaxanthin-rich corn kernels laboratory and pilot tests were performed to determine the different process parameters. In the small scale experiments astaxanthin corn was processed by the project partner University of Lleida. The corn kernels have an oil content of 5.3% by mass and an astaxanthin content of 16.8 g / g.
it was possible to obtain astaxanthin-containing oil for fish feeding trials. Refining of the oil was not necessary. The desired target value of 150 mg / kg astaxanthin in oil could not be reached. The reason for this result was not the achieved yield of astaxanthin from the corn kernels by the extraction process which was 85%, but the difficulties with the processing / treatment of the obtained oily extract. The oily extract was partially heavily loaded with starch. Attempts to separate the oil from the unwanted starchy ingredients were only partially successful . These phenomena resulted in losses of oil and astaxanthin.